© 2019. 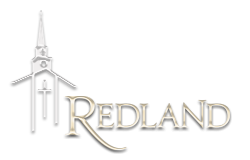 Redland Baptist Church. Attention families! Make your “vacation” a powerful family mission experience this summer! The goal of this mission trip is to deepen relationships while serving and sharing Christ. Join our mission trip to Ocean City, Maryland, hosted by Ocean City Baptist Church on August 3-10, 2019! This trip is for For Youth in Grades 6—12, Children, Parents, and other Adults! Cost* is: $300 (Age 11 and up); $125 (Age 4-10); Free (Age 3 and under) *Discounts available. Registration Deadline is June 1. Ministry projects may include: construction, kids Bible projects, sports ministry, outreach to internationals, and time for family outings and great relational depth with fellow mission trip team members. Contact Kevin Freeman with questions.